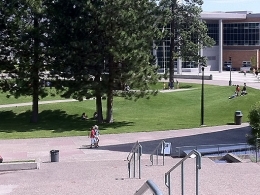 Thompson Rivers University is a comprehensive Canadian university located in Kamloops, BC and offering Masters and Bachelor degrees as well as diplomas, certificates, distance education, and English language programs. It offers 100 academic programs and more than 400 distance learning courses. TRU is a leading destination in Canada for international students. International enrolment now exceeds 1,650 students per semester, with students coming from more than 80 nations worldwide. Thompson Rivers is a Canadian leader in knowledge export, delivering TRU curricula overseas through joint and accredited programs with institutional partners in China, India, Malaysia, Thailand, Singapore, and, within the next year, also in Vietnam and Dubai. A non-refundable application fee of CDN$100 must accompany your application. Estimated processing times:Application will usually be processed within two working days.